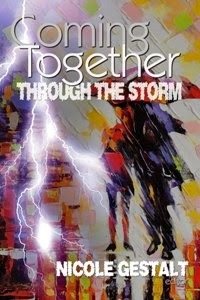 Coming Together: Through the Storm is the anthology I have edited for the Coming Together Series. This book will be out soon but in the meantime here is the table of contents! I've been so honoured to work with some amazing authors and thank you everyone for submitting. Once the book is out I will be posting up where you can buy it and don't forget all the money from the proceeds of this book goes to Mercy Corps to help the relief effort in the Philippines.